925 Sterling Silver Kiddush Cup set - Optional cup only or set of cup and tray. 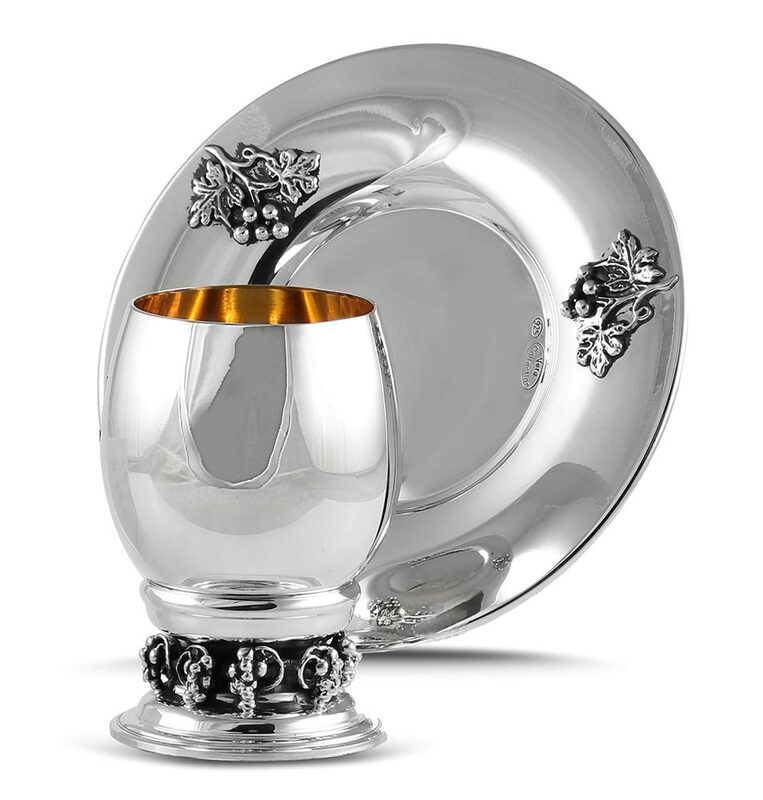 This design features a unique barrel shape cup with a short stem, bunches of grapes adorn the base and the tray. The interior is gilded as shown. Sterling silver, the ultimate in Jewish gift giving for centuries. Invest in future generations, a sterling silver item will always be cherished and handed down for generations to come. Price reflects the cup only, to add the tray see the item options below.